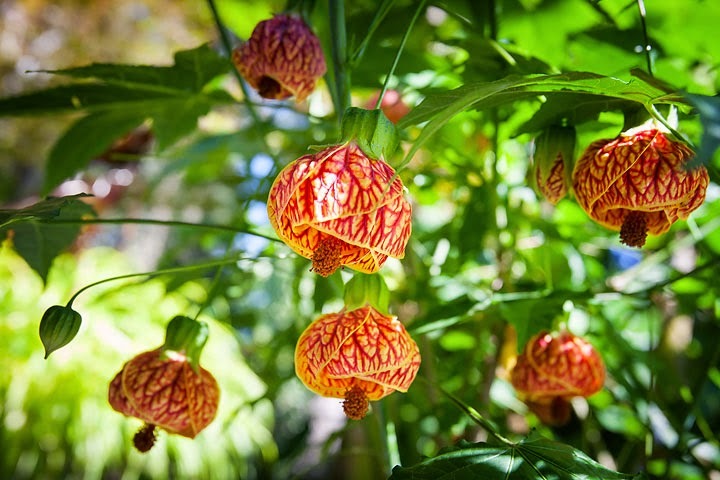 The best time of year to take cuttings from Abutilon species and hybrids is between May and August. However, before taking your abutilon cuttings make sure that the mother plant was well watered the night before with a view to taking your cuttings the following morning. This will ensure that the cutting material will be as turgid as possible, improving the chances of them taking root. Using a sharp, sterilized blade take 3-4 inch cuttings of half ripe lateral shoots, preferably without any forming flower buds or flowers. Remove the bottom 1/2 -2/3 leaves, then place them in a cool, damp polythene bag to prevent them from drying out before striking. Use a good quality compost or prepare your own by mixing equal parts by volume moss peat and horticultural grade sand or grit sand. Pot the rooted cuttings singularly into 3 inch pots. You can dip the cut end into a rooting hormone powder but it isn't really necessary. Pre-drill a hole with a small dibber to prevent the rooting hormone powder from being wiped off the cutting as you strike it into the pot. Gently water in and then place in a heated propagator at approximately 15-18 degrees Celsius. Keep the compost moist, but not waterlogged and periodically spray with a suitable fungicide. As soon as the new roots form the cuttings can be taken out of the propagator and kept in cooler, bight conditions. Do not 'tug' on the cuttings to see if roots are forming as this can easily damage them. Instead, wait for new growth to commence and then allow a further week or so of growth to occur before removing from the propagator. Grow on under protection, potting on as necessary until after their first winter. 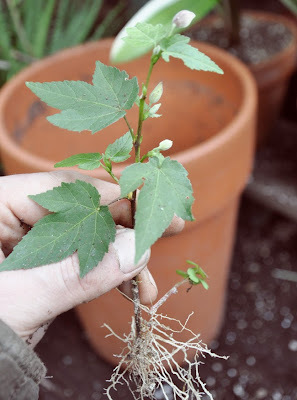 Depending on the hardiness of the species or cultivar propagated either continue potting on into ever-larger containers or plant outside into its final position. As with all protected crops you will need to harden them for a week to ten days prior to planting outside and even then only when the threat of late frosts has passed.